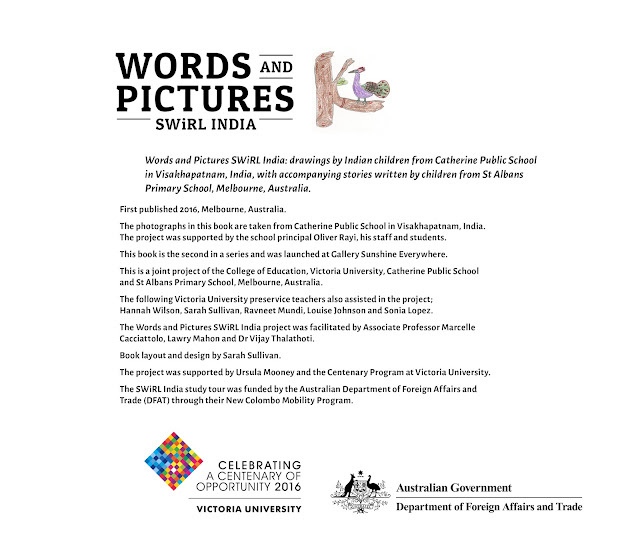 Words and pictures is an ongoing project where pictures by children are collected from one school in the world and responded to with writing and stories by school children from schools in another country. So far children from sudan, Australia, china and INdia have been involved in the project. Three projects have so far been completed and are documented on this website. 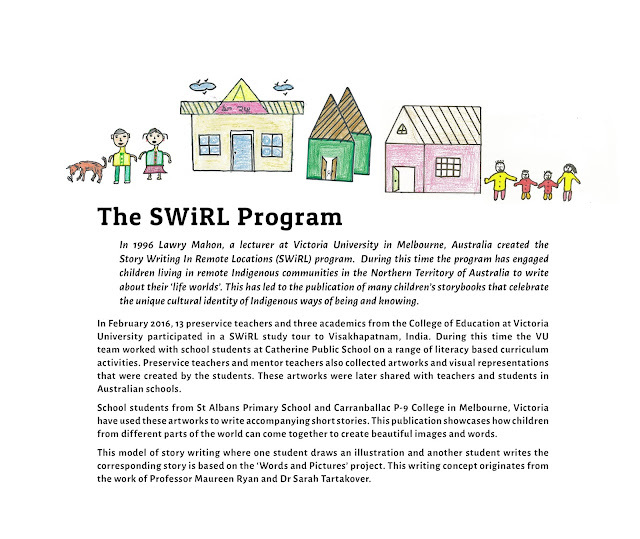 This project features drawings by Eritrean refugee children from Aaidun and Nidal Elementary in Kassala, South East Sudan, with accompanying stories written by children of Flemington Primary School, Melbourne Australia. Some of the drawings and accompanying stories were exhibited at Gallery Sunshine Everywhere in 2015.